As the creator and host of the popular podcast Don’t Keep Your Day Job, Cathy Heller is growing one of the biggest, most engaged audiences in the podcast world. In just a few short months, Cathy’s podcast has climbed high up on the iTunes charts, is sponsored by world class brands draws thousands of listeners to feast upon each inspiring episode. Heller’s mission is to offer real tools and insight to help others find a sense of purpose and newfound fulfillment in their work. Far too many people live lives of quiet desperation and never find a way to express their unique gift. Heller is driven to see more people happily making a living doing what they love. Despite the cynics, the evidence is there that many have made careers from what they most enjoy. Whether it’s baking, screenwriting, sewing, painting or dance, it’s certainly attainable to turn your passion into profit. Heller’s listeners are already writing in about the steps her show has inspired them to take. As Heller’s following has grown, she’s created an online course based on the demand of her fans. She's created an active Facebook community, where listeners post about their career ambitions, support one another and share their challenges as they go through the process of building their business. Those who want the full step by step guide to reaching their goals, enroll for Cathy’s course. Prior to her podcast, Cathy was famous for having hand crafted a career as a songwriter, licensing her music to Film/TV and Advertising. Songs of hers have been featured in ads for Mcdonlads, Walmart, Kellogs and many TV shows, films and even a few theme songs. Her journey has been documented in magazines and newspapers, like Variety, Billboard and the LA Weekly. After earning multi-six figures each year with her own songs, she started an agency, helping other artists to do the same. 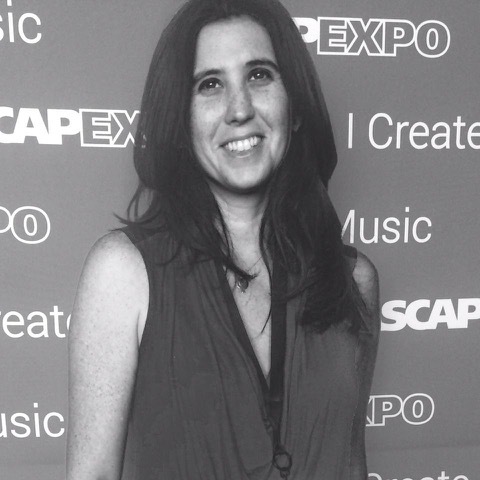 She has spoken on the DIY hustle and how to reverse engineer your dream job at countless places such as UCLA, the Grammy Museum, Billboard Film/TV conference, ASCAP Expo, Berklee School of music and more. A graduate from Florida State University, Heller currently resides in Los Angeles with her husband and three daughters. When not podcasting, teaching or speaking Cathy is still songwriting. Most recently she wrote the main title theme song to a show called Llama Llama, soon to be out on Netflix, starring Jennifer Garner. In her free time she’s busy playing dress up with her little girls (5 and 3 years old) and enjoying the youngest, Madeleine, who is only 5 months.